GDC Europe 2010 – Monday | Geometry saves the Earth! 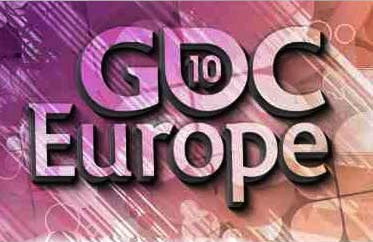 I’m again at GDC Europe at the moment, and I’ll write down some notes of what I saw and heard here. All in all, I passed by a lot of the technical talks (most of the stuff e.g. by Intel can also be found on their web site in my opinion) and concentrated more on design talks. Alex Champanard – Drop-Out Bots: Who Needs A-Grade Multiplayer AI for Action Games? The main takeaway for this talk was an overview of architecture patterns for implementing drop-out bots, which were mainly virtual controllers (where players and NPC use the same interface to control their Avatars) vs. an architecture where the AI controls the animations etc. more directly. He continued with examples from the Quake 3 source code and the Alien Swarm source code (surprisingly, AS is 4 times as large as Q3 – 1.2 million vs. 300K lines of code). For navigation meshes, he mentioned the Recast open source solution. He described in which situations it’s good to use intuition (for example when making decisions with a lot of complex consequences or when driving innovation) vs. when it’s good to use metrics (to validate or back decisions or tune parts of the game). He mentioned several interesting-sounding books, including “blink – The Power of Thinking without Thinking” and “Predictably Irrational”. As introduced by Frank Slivka, this was the first time Mr. Wang gave a keynote outside of Asia. The main message was that the Asian, especially the Chinese online market is huge and can be expected to grow a lot larger even when more people become able to play. David Cage – Heavy Rain: How Far Are you prepared to go to develop an original game? A small panel with the founders of Bioware, looking back at the original Baldur’s Gate and the history of the company. Pretty amazing is that their 60-person team they assembled for the first game had no one on board who had shipped a game before… Warren Spector – What Videogames can Learn from other Media… What we can’t… and what we shouldn’t. This keynote was, according to him, all new material and on top of that, his first time using Keynote, so it was not as smooth as you would expect of a keynote. Nevertheless, the content was pretty interesting, reminding me a bit of David Cage’s keynote from last year. Warren compared games to movies, comics, radio and other media and summarized what could be learned from these media and what will not work in games. One example was the practice of moving the viewpoint of the camera by cutting between different shots in a movie, what doesn’t work in games and vice versa. Also, the pacing of a movie is much too slow, a game has to pick up the player earlier. When comparing games to tabletop RPGs, he pointed out that games need to adjust themselves to what the players want the to do, indicating a need for virtual game masters to do this adaptation. In the comparison with Radio, he pointed out that good use of sound can create very intense experiences. Finally, he had a lot of huge quotes from various books, including “First Person” concerning games and “Understanding Comics” from the area of comics. In closing, he promised to make the slides available on his blog, and showed the never-before seen intro to “Epic Mickey”. For me the small highlight of the day, he talked about the process how Copenhagen-based Playdead created the Puzzles in Limbo. It resonated with a lot of the things I heard and read about design, including the game design workshop at FDG by Robin Hunicke and the motto to “Make things as simple as possible, but not simpler”, which they applied to a lot of the puzzles to make the core of the problem more obvious without dumbing the game down. No wonder the game is a lot of fun with that level of good design going into it. Interesting to see “Mr. Game Programming Gems”, Marc DeLoura (see his blog) working on games at google. He was assisted by Michael Mahemoff who got more into the technical details. What they are offering is mainly a payment solution and store for web applications and games, with a lot of things staying in the responsibility of the developer (e.g. in-game purchases, localization etc.). They seem to be more keen on pushing Native Client (interesting info: they compiled the Unity plugin using NaCl, thereby also porting the player to Linux) then HTML5. However, Michael Mahemoff presented a lot of info about HTML5 and other upcoming technologies (e.g. CSS3, which looks like some changes coming up how we perceive the web). In closing, he recommended www.html5rocks.com as a good page for information. I guess it was good, however since I was traveling with a student pass holder and wasn’t really into the mood for a party I passed that one by. I will be on the Island beach club ship thingy which is right on the other side of the Rhine on Friday anyway.